New York, Feb 25 (IANS) Gone are the days when you could only “like” your girlfriend’s Facebook post even when you wanted to convey more to her. Now with “Reactions”, hold down the “Like” button on mobile or hover over the “Like” button on desktop to convey five new emoticons — Love, Haha, Wow, Sad or Angry. The social networking giant has launched a new feature called “Reactions” — an extension of the “Like” button to give you more ways to share your reaction to a post in a quick and easy way. 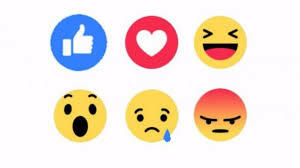 For years, Facebook users have been asking for a “dislike” button but Facebook has instead given them six playful emoji buttons. “We have been testing ‘Reactions’ in a few markets since last year and have received positive feedback so far. We are now excited to offer it to everyone who uses Facebook around the world,” Sammi Krug, product manager at Facebook, said in a blog post on Wednesday. “We will continue learning and listening to feedback to make sure we have a set of reactions that will be useful for everyone,” Krug added. “We understand that this is a big change, and want to be thoughtful about rolling this out. For more than a year we have been conducting global research including focus groups and surveys to determine what types of reactions people would want to use most,” Krug posted. Facebook founder and CEO Mark Zuckerberg has said in the past that “like” is not an appropriate reaction to a status update or news story about tragedy. “We also looked at how people are already commenting on posts and the top stickers and emoticons as signals for the types of reactions people are already using to determine which reactions to offer,” he added.